This R.S.T. 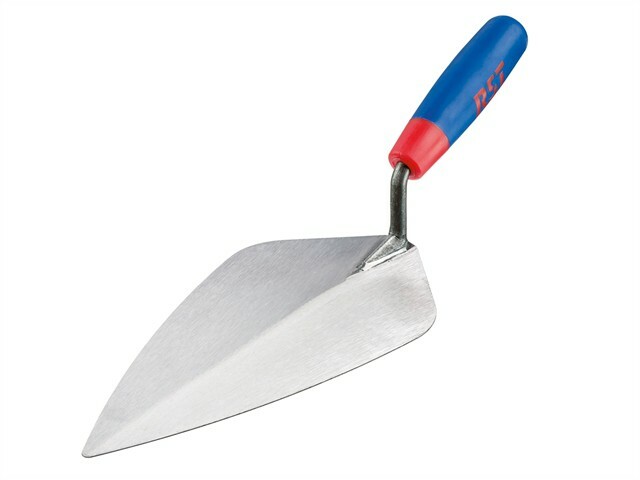 London Pattern Brick Trowel has a durable hardened steel blade. Its handle is soft-touch to enhance user comfort. The traditional London pattern is the standard shape for laying bricks.